Indeed, I think it looks very very interesting. Unfortunately slightly out of budget for myself, but still very nice. I hope to hear it in Munich in May. A bit confusing to call it "Three" when they already had the "3 Way" in the product line, and it's often called just Three. Streamer: Lumin T2, Integrated amplifier: Ypsilon Phaethon, Speakers: PMC Fact.8, Foundation: Ansuz cables, power distributor and mechanical grounding. It’s debuting at Axpona. Looking forward to hearing it. So Mike you‘re saying the three needs a big room? Bigger than these tiny Axpona rooms. I have heard the Alumine 5 at a dealer where the room in my memory is 6-7 meter long and 4 meter wide , they was placed on the short wall and doing very good. That room is also treated acoustically , so even with the one af the long sides being windows it still plays really good. 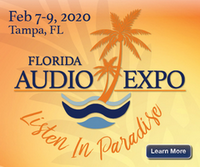 "AXPONA is off to a strong start. One of the first rooms I hit up with my fellow AV NIRVANA-ers was the Fidelis room, where they were exhibiting their Stenheim Speakers. 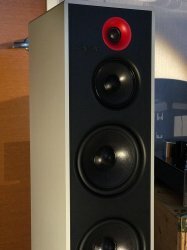 Stenheim is a high end swiss speaker brand of speakers that I've heard a few times before. This time arauond I was able to take a listen to both the New Alumine 3 and existing Alumine Two speakers. What surprised me was how good these sounded. I've been a fan of their industrial design for some time, but not had a time to hear many of their speakers. 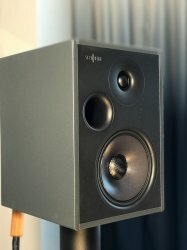 The Alumine Two, their entry level speaker, was especially nice sounding for its compact size. Notably throwing a wide and believable soundstage. I found them both tonaly neutral, which was nice to hear." what is the MSRP of the 3? I know the 5 is 60k. Swedish price of the Three is about 44% of the price of the Five, maybe that can give you an idea in search for the more exact price.